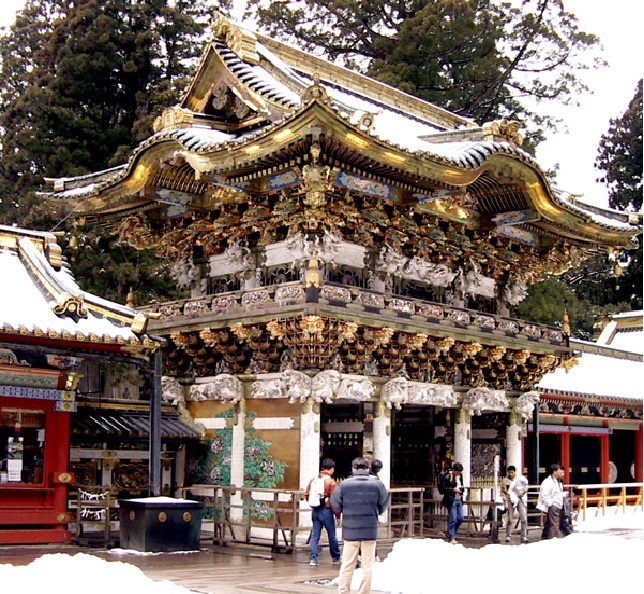 Shown below is the Tōshō-gū shrine in Nikkō, Japan. 1. What famous thing is carved on a door of the monument? 2. In India, where can we prominently see the statue of the famous thing that is carved on this monument's door?